Item # 319786 Stash Points: 3,995 (?) This is the number of points you get in The Zumiez Stash for purchasing this item. Stash points are redeemable for exclusive rewards only available to Zumiez Stash members. To redeem your points check out the rewards catalog on thestash.zumiez.com. 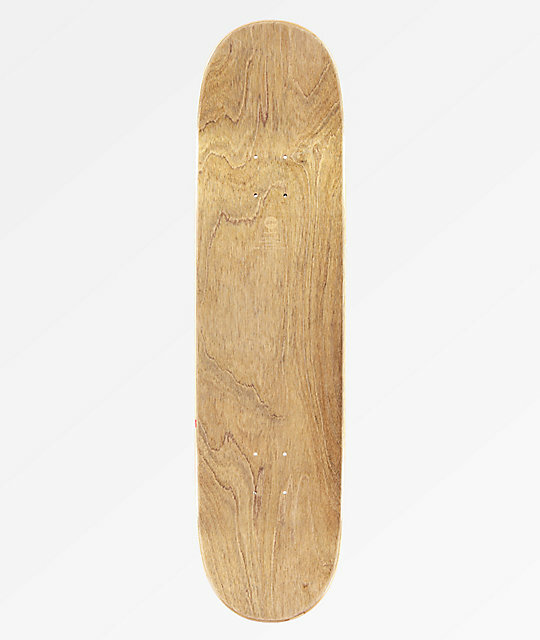 Reminiscent of the Post-Punk musical era and the innovative sounds of the 80s, Almost Skateboards presents their eclectic New Wave 8.25" Natural Skateboard Deck. This vibrant deck features an array of geometric shapes and colorful print patterns that are sure to bring extra flair to all your tricks. 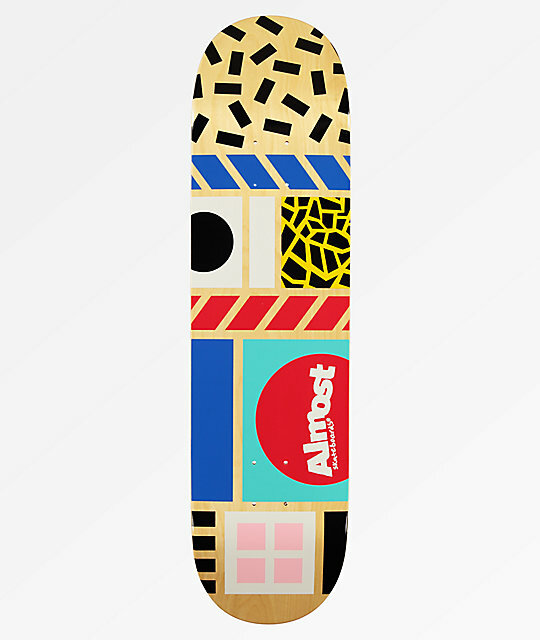 New Wave 8.25" Skateboard Deck from Almost. Medium concave, no wheel wells. Note: Comes completely pre-assembled and ready to shred right out of the box. Note: Graphics and stains may vary slightly from the image.